Total income dipped slightly in July; however, it was still very strong at $7,432.15. Expenses saw a huge jump during July up to $6,024.93 which is a far cry from the average monthly expense figure of a little over $3k. Expenses might have seen a big jump; however, that was primarily due to the family trip that we took down to the Cayman Islands at the end of July which was $3,066.76 of the total expenses for the month some of which will be paid back to me via family. Without the travel expenses included the July's outgo would have been $2,958.17. 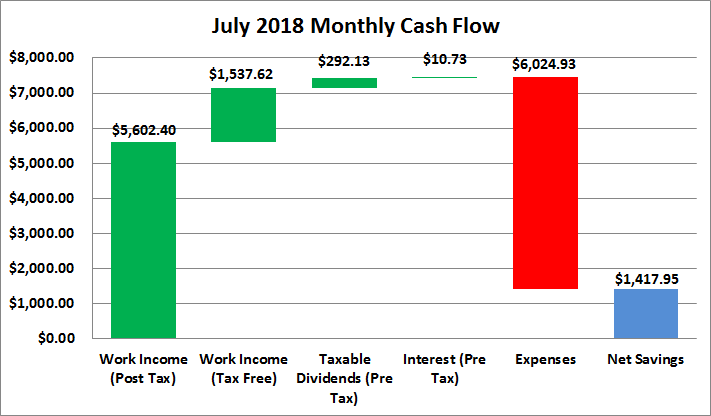 Obviously, my savings rate dipped in July due to the travel expenses and slightly lower income; however, it was still a win in my book since we were able to fund the week long vacation through our normal monthly cash flow. Based on total income (pre & post tax work income, taxable dividends, interest) I still had a 19% savings rate during June. Based on work income alone the savings rate was 16%. Excluding the travel expenses, which aren't normal expenses, the savings rates would have been 60% and 59%, respectively. Truly passive income, dividends and interest, totaled $291.17 during July which was about a $25 decrease from April. *Dividends are from my taxable accounts only. Based on July's spending the passive income for July covered 6% of expenses. Thus far in 2018 I've totaled $3,699.66 from income outside a traditional day job. One thing I'm certain of is that life is what happens when you're busy making plans. Our big plan for the year was to reduce all of our non-mortgage debt in order to free up around $900 of monthly cash flow. It's been slow going on that front because life just kept happening and our planned travel for the year required us to set cash aside. 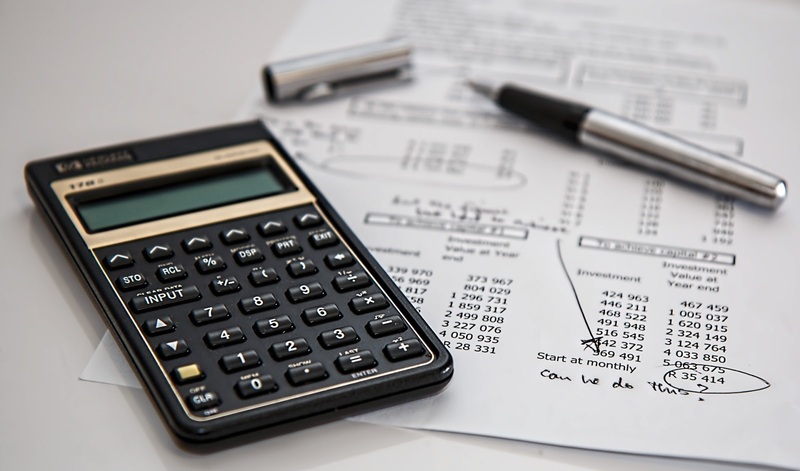 Now that our big family vacation is done and and no other travel or big expenses on the horizon we can really start to focus on debt reduction. I still think there's an outside chance of getting rid of the two big non-mortgage debts that we have before the end of the year. Although it might be close. Whether they're gone in 2018 or early 2019 I won't really care as long as we're making steady progress on it and moving forward. Even better is that as soon as they're gone we can build up some cash for a month or two and then resume investing in earnest.